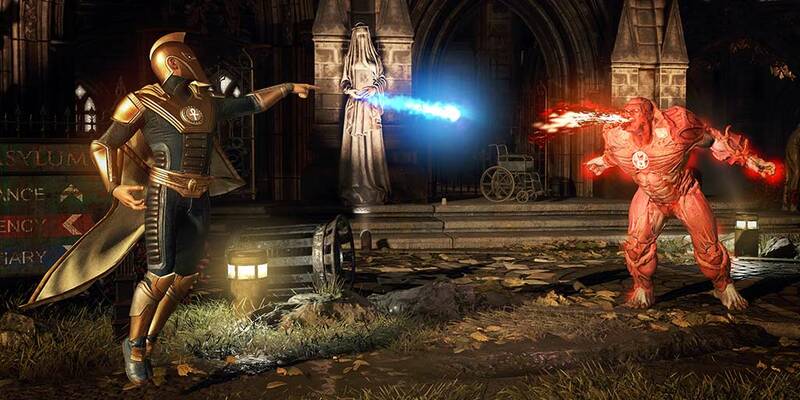 Injustice 2: Doctor Fate Added to Roster | Nerd Much? Warner Bros. has announced a brand new addition to the Injustice 2 roster as promised, as powerful sorcerer Doctor Fate has entered the fight. A brand new gameplay trailer (embedded above for your viewing pleasure) introducing Dr. Fate to Injustice 2 debuted this morning, showcasing battles between Superman and Dr. Fate, as well as battles with Atrocitus and Cyborg. Combat is certainly impressive, and we’re pretty sure we’ve found our new main for the upcoming fighting game. He’s just one of the now 24 confirmed characters for the game (27 if you include the three premier skins). His fighting style appears to be a mix between Ares and Green Lantern from the original Injustice: Gods Among Us, and since we haven’t yet seen a reveal for Ares, we’re pretty sure some Ares mains will be taking the reins for Doctor Fate. For those who don’t know, Doctor Fate first appeared in early DC Comics in the 1940s in More Fun Comics, and he had a cameo in the original Injustice game, with his costume appearing in the Hall of Justice. So, it’s no real surprise that NetherRealm would include him this time around. Injustice 2 will launch on May 16, 2017 for PS4 and Xbox One, as well as a mobile version for iOS and Android that will be free to play. Check out our roundup of Everything We Know About Injustice 2.